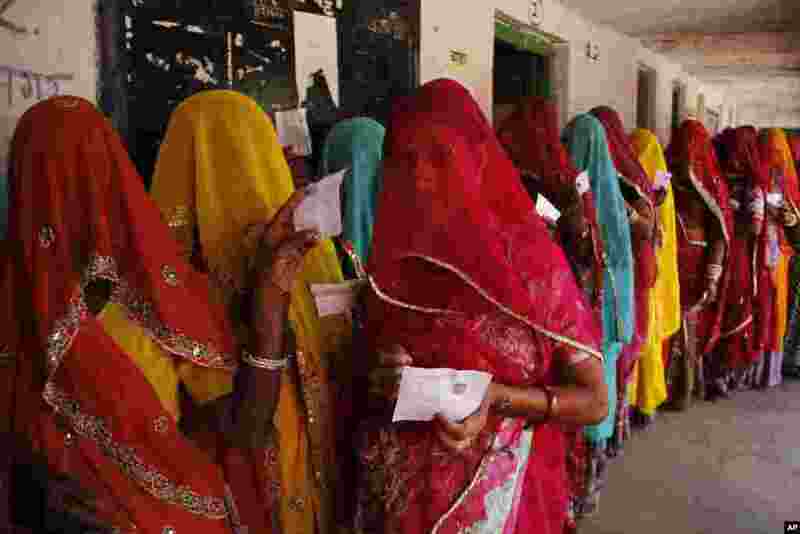 1 Indian village women line up outside a polling station to cast their votes during Rajasthan state assembly elections at Devnagar village near Ajmer. 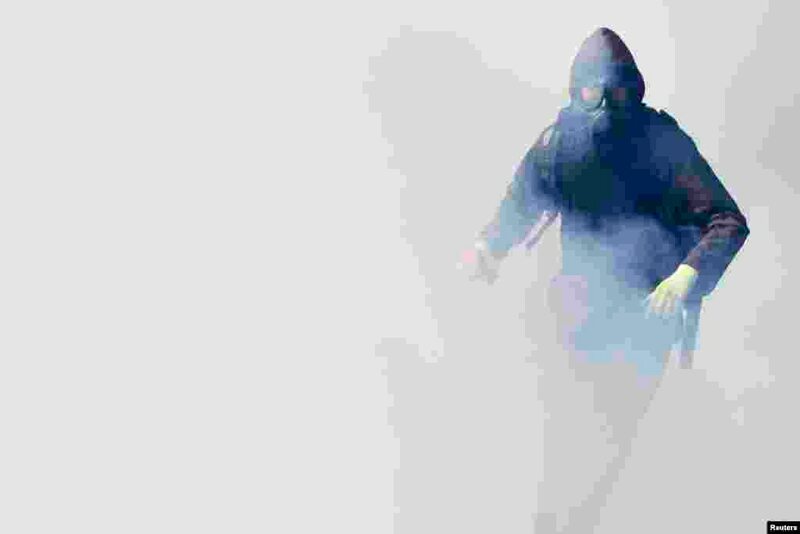 2 An anti-government protester runs through a cloud of tear gas during clashes with police near the Government House in Bangkok, Thailand. Police fired several rounds of tear gas near Government House, after a chaotic night of street fighting elsewhere in the capital during which two people were killed and at least 45 wounded. 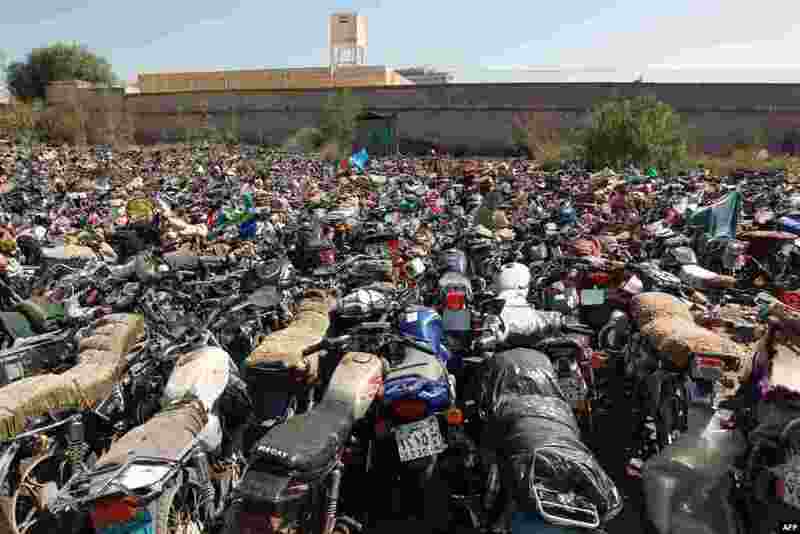 3 Motorcycles that were seized at the police headquaters in Sana'a, Yemen, after their owners violated a 15-day ban on motorcycles. Yemen began enforcing a temporary ban on motorbikes in the capital to prevent "shoot and scoot" attacks as al-Qaida suspects on a motorbike elsewhere killed an army officer. 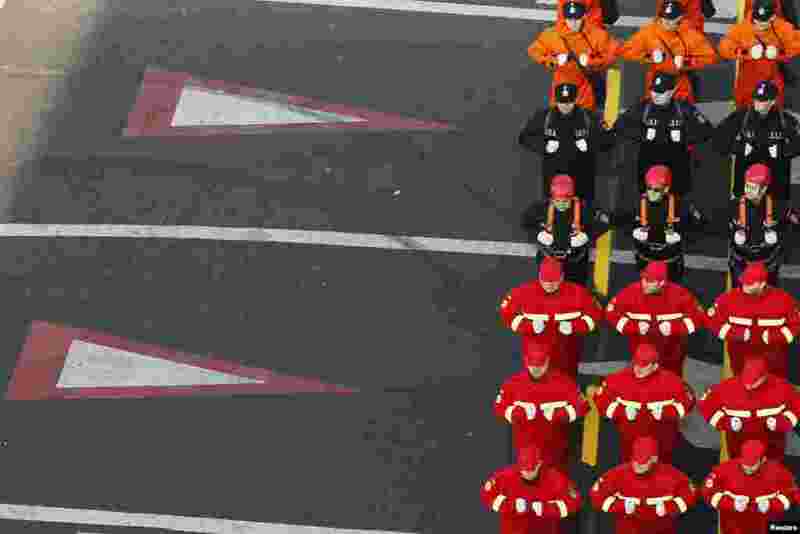 4 Romanian troops march under the Arch of Triumph during a military parade to celebrate the country's National Day in Bucharest.